Because humans are social beings, a lot of people would like to be in the presence of other people especially with their friends and colleagues. Others would love to be in a crowd where the people are gathered for the same purpose. This is the reason why we can see a lot of parties anywhere for various occasions such as birthdays, graduation, and Christmas. But, how will you let people know about your party? 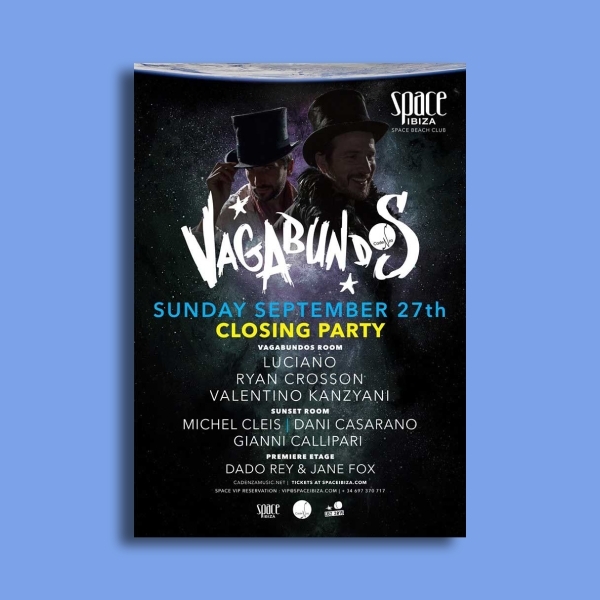 In order to disseminate the information about the party, aside from the party invitation that are sent personally to the recipient, a party flyer can surely help in informing the public about the details of the party. 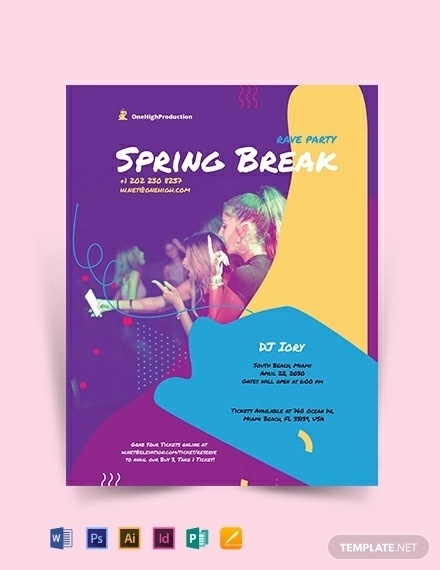 Check out this article for some examples and templates of a party flyer. 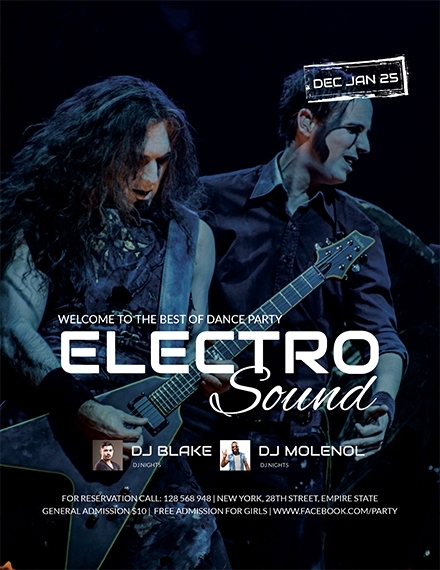 For a party flyer to be exceptional and eye-catching, here are the important elements that a party flyer must possess. 1. 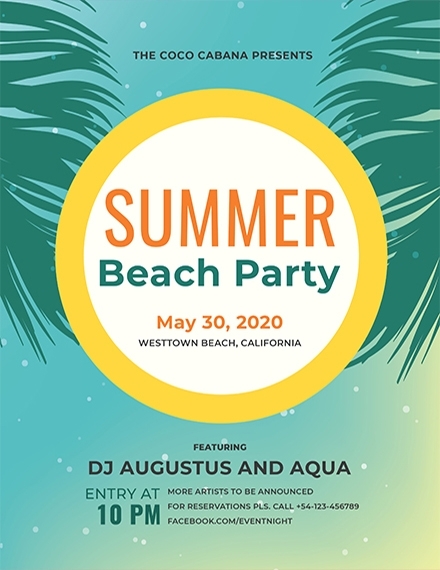 Title of the event: Yes, you might be sure that you are making a party flyer; however, you must clearly specify the kind of party that you are hosting as there are a lot of types of parties that your audience might be expecting. This would also give your guests a background on what will happen on the said event. 2. Date and time: Another important element that must be present in your event flyer is the date and time of the party. You must let your audience know about these information for them to prepare themselves before the coming of the day. 3. Venue: Mentioning the venue is also important so that people can book their rides beforehand so they can attend to your event. For those who are residing far from the specified venue, they can at least book their tickets ahead or look for cheaper alternatives in order to get to the place. Moreover, your venue would also give an impression to your visitors and guests. 4. Theme and costume: If the party that you will be hosting requires the guests to be in specific costume, then it must be clearly specified in your party flyer or else many will come under- or overdressed. This would also ignite the expectations of your guests on what will happen on your party. 5. Contact details: In order for the people to reach and communicate with you, a contact information must also be provided in your flyer. This may be your phone number, email address, website, social media account, or any contact details where the invitees can keep in touch with for any questions and clarifications. 6. 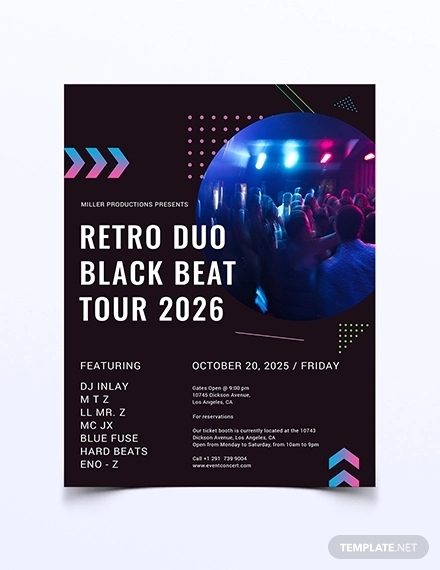 Graphics: It is important to include graphics and photos in your flyer as this can not only add aesthetics to your flyer but also grab the interest of the viewers. 7. Other details about the party: Other details of the flyer might be included depending on the type of party that you are hosting. For example, in a graduation party, the name of the graduate/s may be specified. 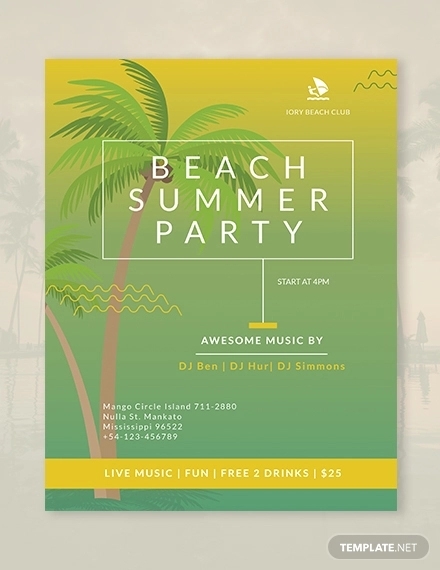 There are a lot of applications and programs that you can use to create your party flyer, and we will be tackling on how to make a flyer using one of the most user-friendly program, the MS Word. 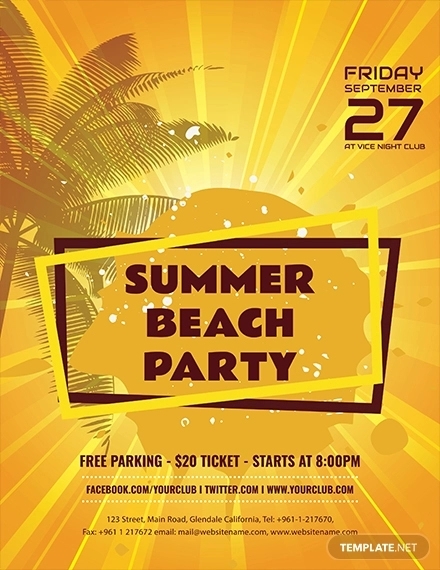 There are two ways in creating a party flyer in word: using Word template and using a blank Word document. 2. Click “File” on the toolbar and choose “New from Template” from the drop-down options. 4. Choose a design that suits the type of party that you will be hosting. 5. Edit the template and incorporate the important elements—title of the event, date and time, venue, theme and costume, contact details, graphics, and other important details. 6. Finally, save your document before exiting. 2. Click “File” on the toolbar and choose “New Blank Document” from the drop-down options. 3. 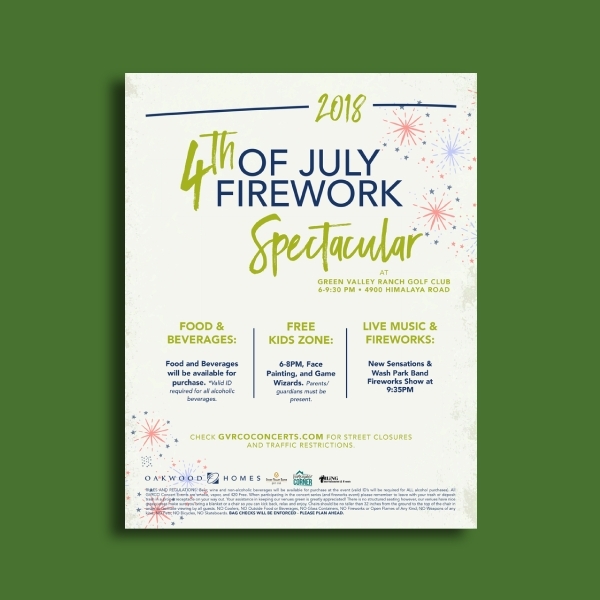 Instead of opening the Template options when you want to use a template, here, you can directly add the necessary elements of a party flyer in your blank document.You may also see multipurpose flyers. 4. In order to add text to your document, click “Insert” on the toolbar and select “Text Box” from the drop-down list. Other options are to directly type the text on the paper and to use WordArt. Then, adjust the font type and font size. 5. Lastly, do not forget to save your file. 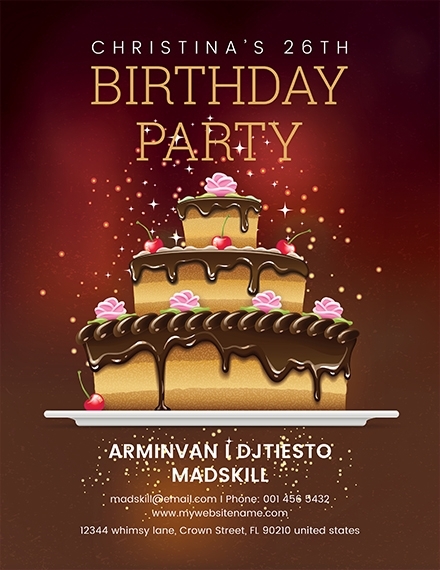 Birthday party flyer: These flyers are among the typical ones as birthday parties are everywhere. 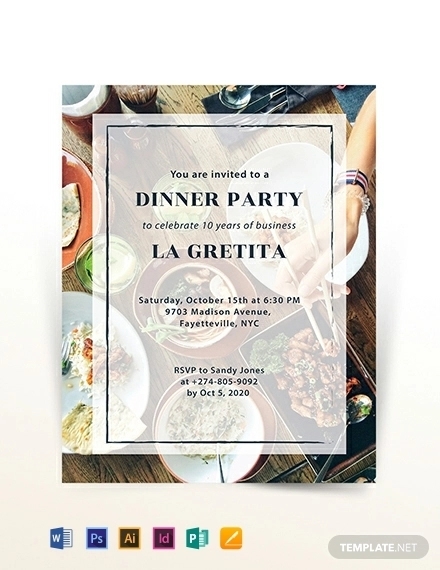 Usually, in a birthday party flyer, the name of the celebrant is included in the flyer apart from the necessary flyer elements. 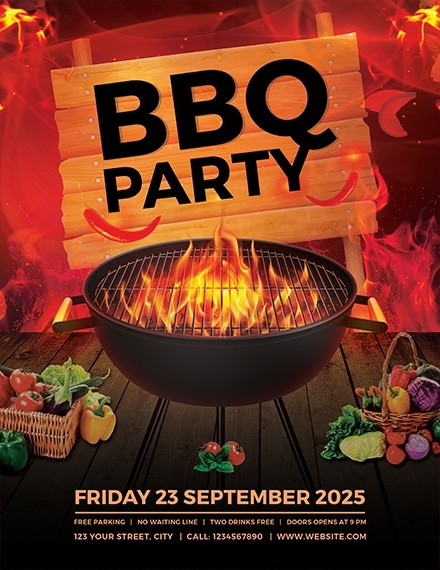 Because flyers are usually for the public, if a birthday party flyer is being disseminated, the birthday celebration is intended to be attended by the public in contrast with the birthday celebrations that are exclusive for family members and friends. 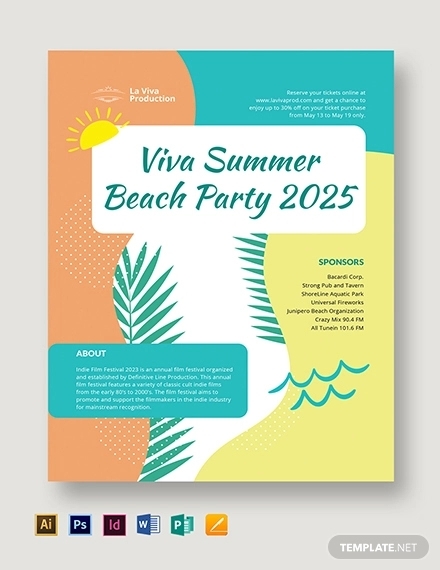 Graduation party flyer: For this type of flyer, this informs the intended audience for a graduation event of a certain individual, group of friends, or the whole batch. So, when the graduation party flyer is for the whole batch, the name of the batch is specified on the flyer. 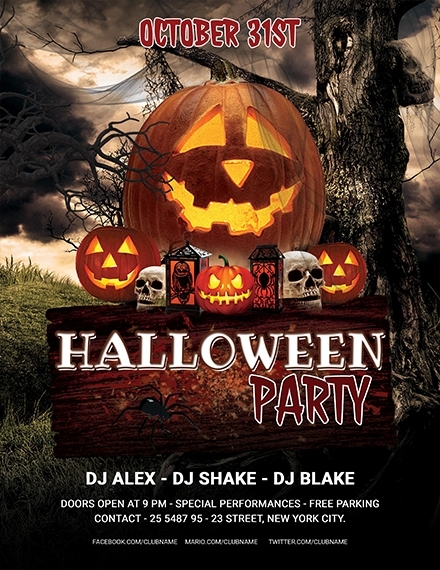 Halloween party flyer: A lot of Halloween parties will happen during the Halloween. In order to gather many people to come to your Halloween party, a Halloween flyer must be disseminated and passed out to the public. 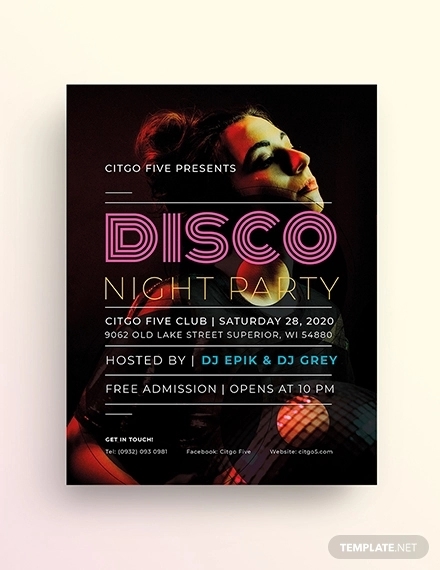 Welcome party flyer: This is a type of flyer that informs the intended audience for an upcoming party that will be held in order to welcome a new club member, a new employee, or a new member of a family. Slumber party flyer: For slumber parties that are open for many people, a slumber party flyer is needed in order to inform the public that there will be an upcoming slumber party. The details about the slumber party must be specified in the flyer. Block party flyer: When you organize a block party, a block party flyer can help in disseminating the information to the neighbors. The said party is to be held usually on the streets of the said neighborhood or block, hence the name block party. 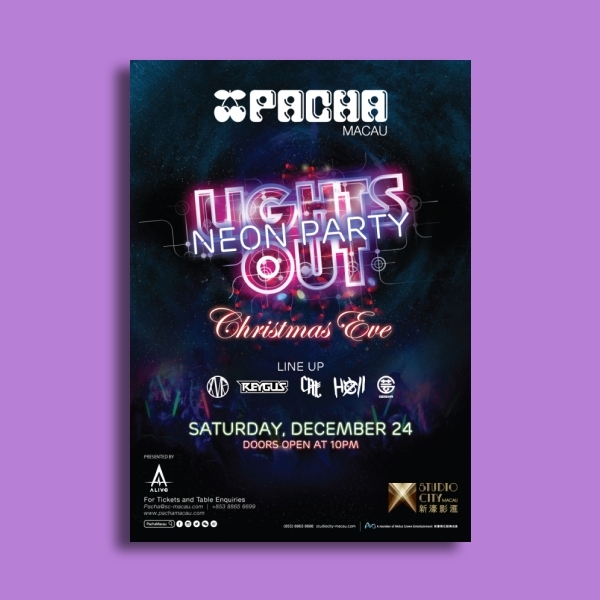 Christmas party flyer: During the Christmas season, parties are everywhere and it is important that many people will come to the event; hence, flyers must be sent out to the public. 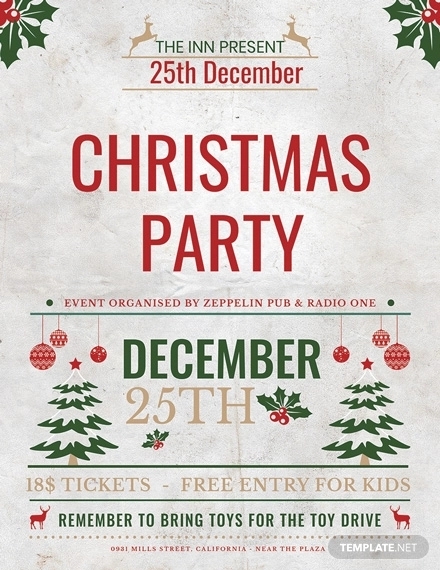 A Christmas party flyer can surely help in disseminating the complete and detailed information to the people. 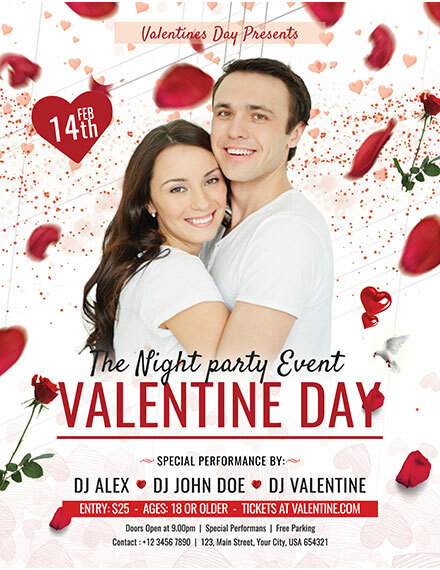 Singles party flyer: People who are not married or those who want to find a partner for friendship or dating are the main audience of a singles party. 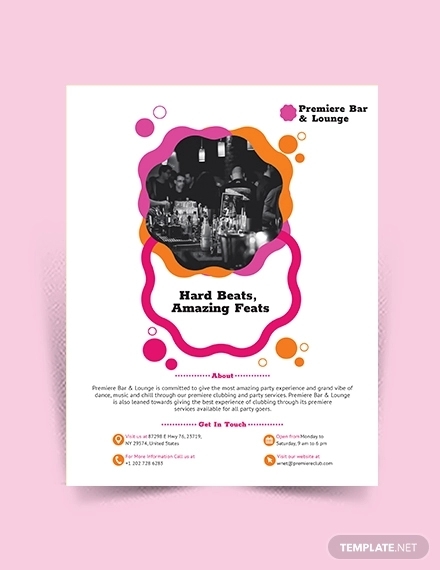 A singles party flyer can help reach out these audiences easily. 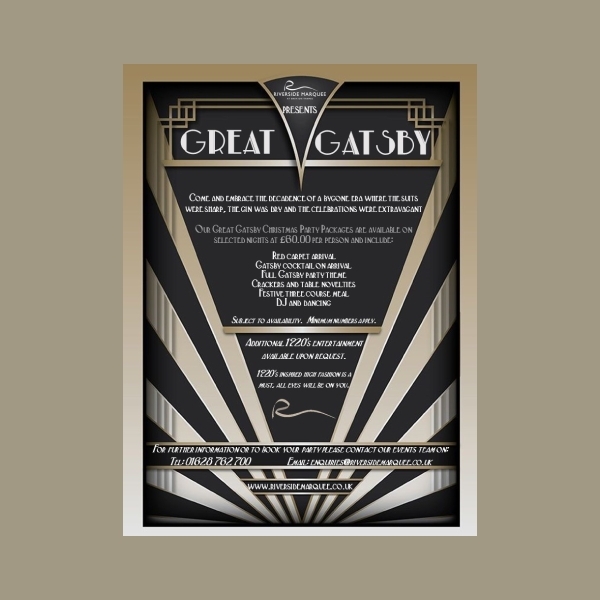 Fundraising party flyer: Fundraising parties are organized usually for the purpose of collecting a certain amount of money for a cause or charity. 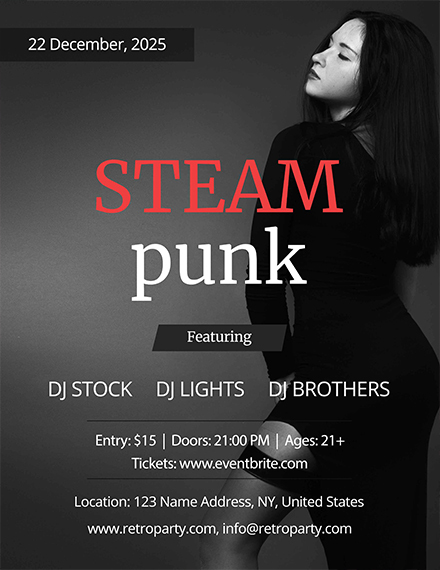 In order to let the people know and participate on the event, disseminating a fundraising party flyer would help. Housewarming party flyer: It is common that a housewarming party is to be attended by relatives and friends of the host. To let the party be known to the intended audience, a housewarming party flyer may be sent out to these people. 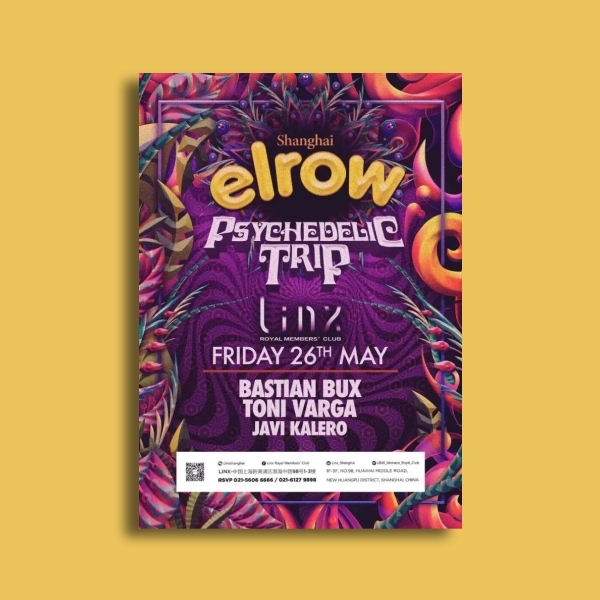 Why are party flyers important? 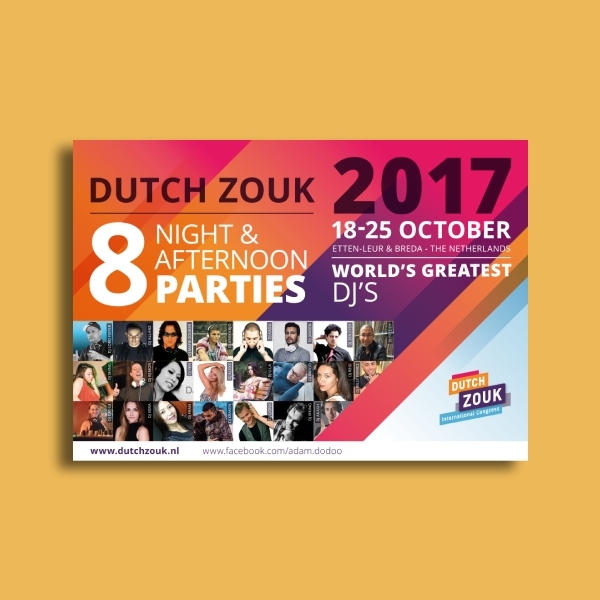 Party flyers are important because they contain information regarding the party such as the date, time, location, and theme of the party. Moreover, they can be disseminated to the far reaches of the world, to where the intended audiences of the party are. 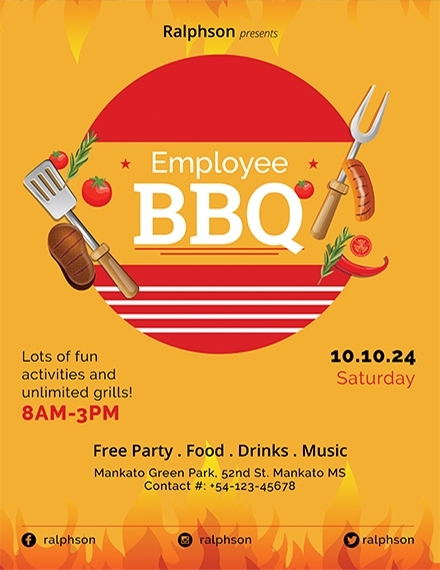 How can I make a party flyer? 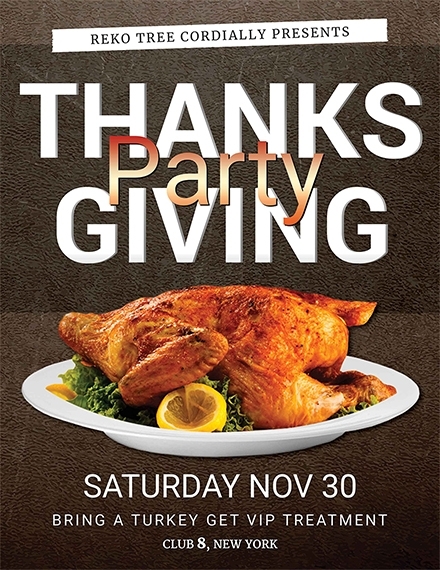 There are a lot of programs and applications on the web that you can use to create your own party flyer. 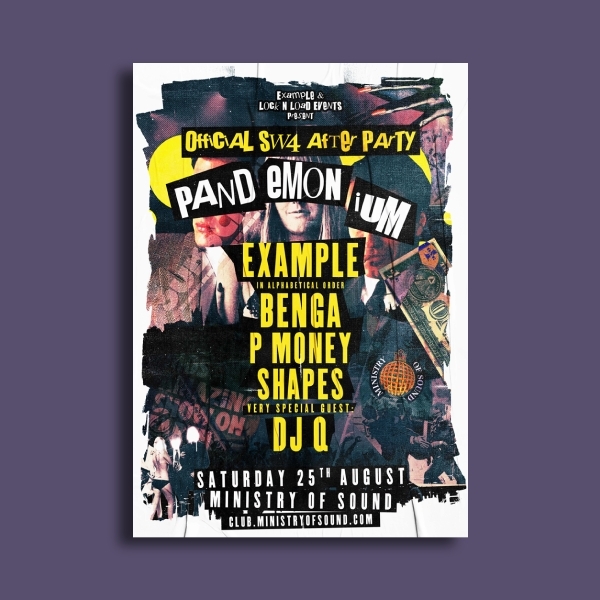 In this article, in the section “How to Create a Party Flyer Using Word,” the steps on how to make a flyer are discussed. It is really up to you on what programs you are comfortable with and you think is user-friendly for you. Alternatively, you can search for templates on the internet, such as the ones presented above. 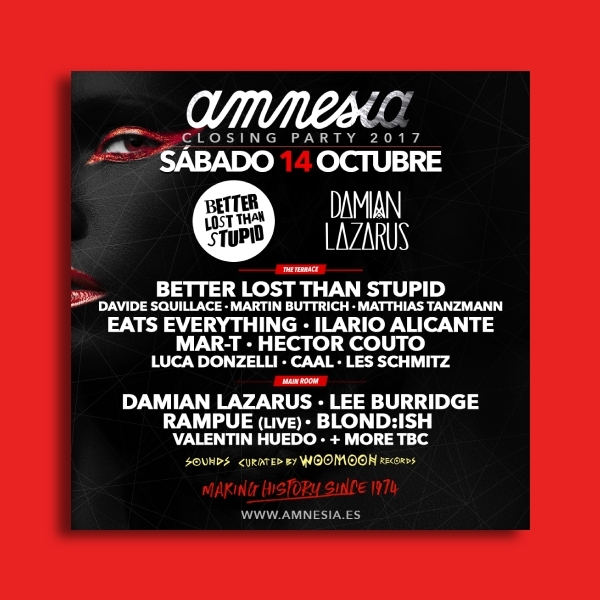 What are the programs that I can use in creating a party flyer? Apart from the MS Word that is discussed above, there are a lot of programs you can use to create your flyer, and the popular ones are Adobe Photoshop, Illustrator, Poster Maker, LucidPress, and GIMP.